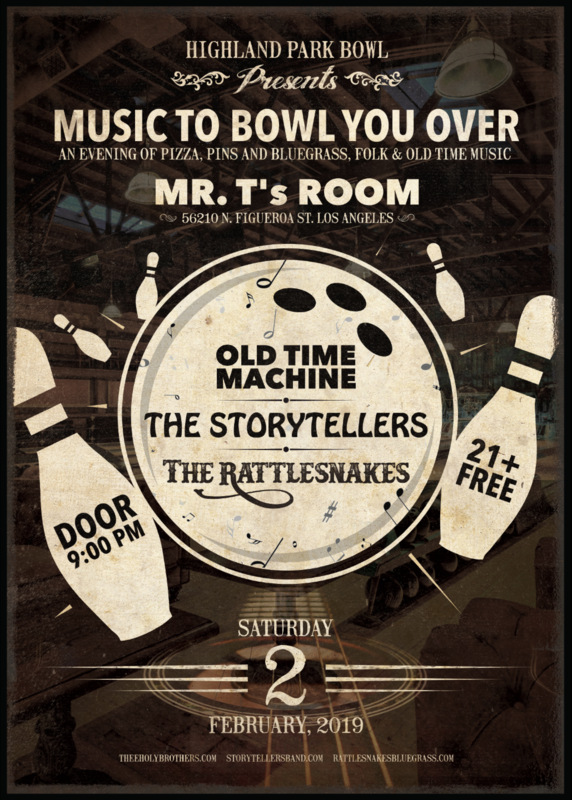 Old Time Machine is a folk/old-time/blue-grass outfit hailing from the eastern regions of Los Angeles. OTM is comprised of Amelia Card (guitar, fiddle and vocals) and Rosy Nolan (banjo, guitar, autoharp and vocals). Think Gillian Welch meets I’m With Her meets The Carter Family. They mix sweet harmonies over haunting melodies to the great pleasure of audiences all over the country. The Rattlesnakes are a six strong California bluegrass ensemble performing Instantly hum-able original tunes mixed with super-charged traditionals, and surprising covers. On the heels of dates last year across Southern California and Colorado, including playing on ’top to the world’ at Aspen Mountain, the boys recently took second place at the Topanga Banjo Fiddle Festival. Come check out where the Rattlesnakes are taking bluegrass music in 2019. Highland Park. 21 & Over.